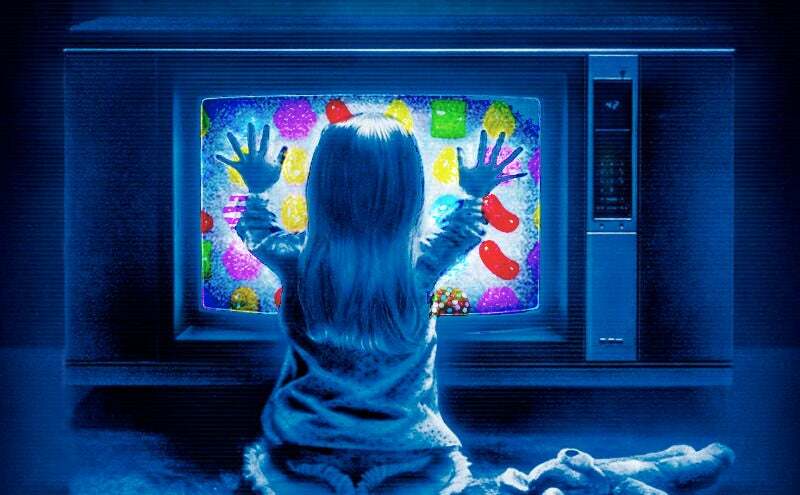 According to the official press release from CBS, 18 billion rounds of Candy Crush Saga and its spin-offs are still played every month around the world. That's the sort of number that gets television heads turning, and likely a driving force behind CBS ordering a game show based on King's platform-defining series. They have tapped reality TV king Matt Kunitz (The Real World, Fear Factor, Wipeout) to create a brand new format, in which two teams of two people use wits and agility to navigate an enormous interactive game board. "The Candy Crush franchise lends itself perfectly to the kind of larger-than-life, physical game shows that I love to produce and CBS is the perfect home for it," said executive producer Matt Kunitz ("Wipeout," "Fear Factor"). "As a Candy Crush Saga player myself, I am excited to amp up the action and visuals in our huge Candy Crush Arena." Alarming I was going to make a joke about microtransactions... but I realised that "buying a vowel" and the mid-game gift shops in quiz shows were. I guess the studio behind Adventure Time can expect to be sued soon for setting their show in the candy kingdom. One more crappy gaming movie on the makings? TIME WILL TELL!